The EU’s chief scientific advisor has said that evidence allows the go-ahead for extracting shale gas, the energy source at the centre of a European policy tug-of-war. The EU executive launched a green paper on 27 March, setting out Europe's energy and climate aims for 2030, with Energy Commissioner Günther Oettinger taking a favourable position on shale gas. "I am in favour of producing shale gas, particularly for safety reasons, and to reduce gas prices," he said. "In the United States, which is a big producer of shale gas, the price of gas is four times less than in Europe." Shale gas has triggered an industrial revival in the United States, which the International Energy Agency expects to become almost self-sufficient in oil and gas by 2035. But crippling production costs, exploration closures, and government-level environmental concerns have seen the industry’s expansion in Europe waver. “We should not go into a denial phase. From my point of view the evidence will allow us to go ahead [with shale production]. But in terms of extraction and production there are non-scientific issues to be debated,” Glover said. António Fernando Correia de Campos, the Portuguese MEP who chairs the Parliament’s science and technology options assessment panel, also endorsed shale during the debate. Although he said he was not speaking on behalf of any parliamentary group or committee, Correia de Campos said Europe was “in the denial phase” on shale gas. He said it was clear that within five years Europe would be importing shale gas from the US because it cost a quarter to a fifth of current European gas imports. “We are basing our opinion on the denial paradigm, which is one step behind the precautionary principle,” Correia de Campos said. Member states remain divided on their approach to shale. Last October, British Chancellor George Osborne announced potential tax breaks for domestic shale. The same month Poland declared its push for the gas, saying it would invest some €12.5 million to develop exploration by 2020. But large-scale production has proved difficult, with European governments and major energy companies recently suspending or halting exploration, and France has imposed a moratorium on shale gas drilling. Meanwhile doubts remain amongst campaigners about the safety of shale extraction. "Several peer-reviewed studies have shown that [extracion] operations and production activities significantly increase the cancer risks for communities living less than half a mile from drilling sites,” Antoine Simon, extractive industries campaigner at Friends of the Earth Europe, told EURACTIV. Connie Hedegaard, the commissioner for climate change, told the daily Guardian that shale gas would not be the game-changer that it has been in the US. "We should not fool ourselves," she said. "This is not going to be as cheap as in the US. We have different geology that makes it more tricky [to extract shale gas]. We don't have the same wide open spaces. We pay more attention to what local people think." “Speaking about safely extracting shale gas is still a wishful thinking. In the US thousands of citizens have been left with serious health problems, including respiratory problems, hormone disruption and cancer, and with their air poisoned and drinking water contaminated,” said Antoine Simon, extractive industries campaigner at Friends of the Earth Europe. 2013: European Commission to unveil results of public consultation on unconventional fossil fuels, including shale gas. Correia de Campos is Portugese. Cheers! “We don’t have the same wide open space.. we pay attention to what people think”. this is the comment from Denmark’s Connie Hedegaard, EU Commissioner on Climate Change as she continues her groundless attempt to halt the introduction of shale gas, which according to energy guru, Dieter Helm and others is the only viable method to cut EU CO2 emmissions in a meaningful way while maintaining EU economic competitiveness. I trust Ms Hedegaard is also paying attention to local people and working to protect Europe’s scarce open landscapes against the erection of wind turbines, mostly imported from Denmark which are now acknowledged to have negligible impact on CO2 emmissions and climate change. On a different note why in the “Position” column does Euractiv just set out comments from Commissioner Hedegaard and Friends of the Earth. Surely in the interest of balance, you should also expand on the crucially important positions of Ann Glover, EU Chief Scientific Adviser and Gunther Oettinger EU Energy Commissioner. Or is Euractiv also “in denial” ?. Would be delighted to see Mr. Simon’s evidence of cancer cases resulting from hydraulic fracturing. We would like to follow up and if the evidence is scientifically compelling, would revise my position in favor of HF. I’d like to see what evidence that Prof. Glover can produce to say its OK to go ahead. There’s a hell of a lot of case studies sitting under seal of non-disclosure agreements in back rooms in states in the US which must be unsealed before any true risk analysis can be made. This all reminds me of the ‘scientific’ advise on risks to the Shuttle. NASA (not unknown for having a few scientists employed) predicted risk of shuttle loss at 1 in 100000. out of 140 missions and manned test flights there were 2 shuttle losses, or 1 in 70 chance. How could those scientists make such an error ? So Professor Glover, just what are the risks ? I see more than 1 PON1 [leak/spillage] notice issued per day on the UK continental shelf last yr.. approx 500/year or 1 per every 10 active UK oil or gas well. Shale Gas will require 1000s of wells, so if this is ‘best practice’ and ‘ALARP’ As low risk as reasonably possible’ (and we’ve been assured by UK government that they are best at oil and gas) then one is looking at 1000s of these spillages in communities across the EU should shale gas extraction commence. Many people mention the effects of fracking on water, but one of the more serious and commonplace impacts is degradation of air quality. There are also numerous incidents of groundwater and surface water contamination in the States. 1. In December 2011, the US EPA concluded that hydraulic fracturing operations contaminated the groundwater aquifer in Pavillon, Wyoming. 2. A study by Rob Jackson, an environmental scientist at Duke University, showed evidence that backs up findings linking gas drilling and water problems in the town of Dimock. Cabot Oil & Gas, who were responsible for the contamination, even paid out $4.1 million, under a settlement negotiated by the Department of Environmental Protection and the company. 3. If you go to the Colorado Oil and Gas Conservation Commission (COGCC) website, industry has even self-reported incidences of groundwater and surfacewater contamination from spills. Google “1.7 Million Gallons of Toxic Oil and Gas Liquids Unrecovered in Weld County Colorado” for an analysis of this data. Since when has burning carbon based fossil fuels been good for climate change? Those pro shale gas need to learn about the facts first before they dismiss the concerns of the many. As stated above there is evidence which proves extreme harm from the entire shale gas operation. If we want to stand any chance of reaching the middle of this century we will need to stop ALL fossil fuel use sooner rather than later. If we don’t we are dead. Then it won’t matter either way. Leave fossil fuels in the ground where they belong. The planet is dying because we are being greedy, selfish and arogant. Please refer to how living on earth can be done at 2000 m above the sea level in France, in the Alps, at the Sarenne refuge. Here Fabrice proves to your eyes Total energy independence. …Obviously there are OTHER options, OHER than FOSSIL. Unless you are blind and you want to protect wealthiest persons on earth to become wealthier on a dying planet…………….maybe they shall become the weathiest people in the cemetry. I VOTE AGAINST SHALE GAS!!!!!!!!! ASK ME AND I SHALL VOTE. Please, Europeans, do not access your shale gas. We Americans need to improve out balance of trade to help pay for our imports – it will be much better for us if we can sell our bountiful shale gas to you. After all, you have no shortage of money to pay us, right? commissioner for climate change = irresponsibility or corruption? As Glover mixes all risks together coming from “energy production” (like wind or coal) it’s a sign that she don’t know anything about this subject or – even worse – that she not neutral! That’s not scientific, that’s indoctrination! Yes, mr.Gerhard Samulat, you are right! But Anne Glover, is the chief scientific adviser to Commission President José Manuel Barroso !!! It is not an anonymous person. she speaks in the European Parliament, even if an unauthorized person, with private interests…her abusive attitude generates particularly severe effects especially in countries with corrupt governments like Romania!!! What most of the Colorado studies posted here agree on is that follow up research needs to be done in order to really substantiate any claims of serious risks to health and environment in regard to fracking. One study admits that the findings “do not definitively link gas fields to the studied air pollutants” – and the issue of air pollution is not all about fracking. I wanted to give a more fact based response, and I would appreciate if my correspondents would identify their affiliation. In this area, Dobrogea, national economic losses are already very high, due to the signing of contracts for the exploitation of shale gas. I lived a life without gas and lived well. we have 10 times more electricity than we need. Now we are already living a nightmare. already arrived in the harbor a ship in Charleston (USA) loaded with 8,000 tons of toxic substances, 40 potentially radioactive. Caution! We are Europeans and stay home to us. If Europe wants the situation to remain so, help us! Mr Smith is asking for our affiliation. My affiliation is with our planet. Is that good enough? Re. his remarks on the Colorado studies. Of course follow up research must be done but this is a conclusion drawn in many studies. What the studies show is that serious risks do exist and therefore the precautionary principle needs to be applied by authorities in the absence of conclusive proof showing shale gas development does not represent any danger to health. Well actually, Mr Smith, all the independent peer-reviewed scientific evidence is in our favour and it is this evidence we are using to argue our corner, not just fear, and we are winning in doing so. The industry is simply wasting its time trying to promote shale gas in Europe. So good rhythms to you! Well actually, Mr Smith, all the independent peer-reviewed scientific evidence is in our favour and it is this evidence we are using to argue our corner, not just fear, and we are winning in doing so. The industry is simply wasting its time trying to promote shale gas in Europe. So good riddance to you! Well “GR.” It’s wonderful to discover that “all the independent peer-reviewed scientific evidence” is in your favor. Too bad it is not true. You may be right that industry is wasting its time in Europe, but I suspect that the EU and member states will soon conclude that “your” studies are not accurate and that the alternatives in the medium term are not renewables but excess Russian gas and excess American coal. Well, actually it is true. There are no independent, peer-reviewed scientfic studies that prove shale gas development is beneficial. Several member states have already banned fracking and many more are set to do so soon with public opposition growing all the time. So the EU can conclude what it likes, it is Member States who make the final decision and no politician who authorises this development has a hope in hell of staying in power if decisions are made to grant licences. No contest, but neither approves shale drilling technology … just say I had a wonderful life up to defend these contracts over their homes and our land without us being consulted .. In the Black Sea coast, where our corrupt government awarded concessions marine spa treatment is practiced over 2000 years certified. 500-700000 Black Sea Riviera offers accommodation in summer. Agricultural production on the 3000 square kilometers is 1-1.3 million tons of grain, grapes, vegetables, etc..
With the advent of contracts, all contracts are dropped … offer from Chevron is a royalty of 3.5% from 14 to 20 $ / 1000 cubic meters of shale gas … so. In exchange we offer our lives beautiful as a great favor less than 15% of our wealth, plus our earth infestation … For what? For the money? We have more money now! For industry? We no longer have an industry here! shale gas exploitation followers think maybe here we are in Africa, no civilization. All of the statements above about the environmental and occupational safety of fracking for gas and oil are true. The fact that hasn’t been mentioned is that extracting this gas for energy is totally unnecessary for the energy needs of Germany or anywhere else on the planet. Please read the following studies by Dr. Mark Jacobson of Stanford University and Dr. Mark Delucchi of the University of California at Davis. They have published studies in the February 2013 issue of Energy Policy for providing for the energy needs of the State of New York without fossil fuel or nuclear power by 2030 with existing technology. There most recent study after that was in the March 2011 issue of Energy Policy for powering all of the United States of America without fossil fuel, nuclear power or biomass fuels. And their first major study was published in the Nov. 2009 issue of Scientific American. There plan involves a complex system of active and passive solar, wind farms, rooftop solar cells,solar hot water, solar heat, heat pumps, geothermal, tidal, small scale hydroelectric,pumped hydroelectric storage, ocean thermal, wave, ocean & river current, solar heated boiler generators, conservation, fuel cells, hydrogen, public transportation, recycling, reuse and reduction of wastes and more energy efficient buildings, factories and businesses. They account for the raw material sources, manufacturing, distribution, smart grid, transmission costs,economic and financial risk. Fracking is too dangerous for the global climate, environmental ecosystem, too expensive to be conducted safely for workers & citizens and totally unnecessary for our energy needs. What we are lacking in the US is the political will to do so. We can do this if the big centralized electric utilities and big energy companies get out of our way and stop blocking and obtaining tax subsidies to keep polluting our planet,accelerating climate change and creating massive toxic wastelands where ever they extract, burn, use or store their energy wastes. So, Mr Smith, can you provide us with links to any studies showing that unconventional gas development is beneficial for our environment and health? Interesting comments. Mr. Williams might research the use of hydraulic fracturing in Lower Saxony since 1955 with over 150 wells completed and no spills. 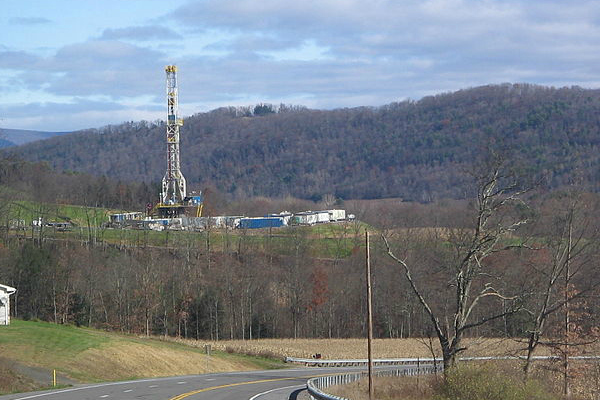 Fracking is not new,only the economics of horizontal fracturing. If one thinks that this is a temporary phenomenon, one has to think that all the investors are pretty stupid to put billions into the whole process, or that Russia, China, Australia, Norway, Argentina and Canada have only stupid people in their energy industry. Gazprom says that it is a temporary thing, but is hustling like crazy to get the technology from BP and others so that they can do it. They just don’t want competition from the Europeans in order to preserve their monopolistic market. And fracking has not stopped the development of renewables where they are economic, such as off-shore wind and in sunny climes. (the world’s largest solar farms are being built in California and Arizona). Demonizing the technology of fracking is no answer. I am pretty sure that within ten years Germany and France will be into fracking, especially when they look at the economics and climate effects of the processes. Just keep burning coal and wood chips and measure the CO2 emissions. You need to do more research on this topic, I’m afraid. The technologies have made it possible to extract shale gas economically. There’s a reason why it hasn’t been done earlier: First because gas price was too low to make these activities economical (it only really started in the US in 2008 when the gas price cost 13$ per unit) and secondly because the technologies necessary to extract this specific kind of gas didn’t exist. Mr. Smith has obviously “gone to Washington,” and become a flack for fracking. Some pretty strange comments coming from the opponents of fracking, many lacking names and all lacking affiliation. They either assume that I don’t care about the environment or that I must be on take from some company. If you will get on the web, you will see that I have been writing about energy issues since 2002; long before fracking became an issue. Mr. Keith Smith, I will propose a world without gas … especially without shale gas exploited so-called hydraulic fracturing method. I live in an area certified as inhabited for over 3,000 years, which were never gas … and we have not missed! We woke up in the night with a concession signed over our properties without our consent for shale gas exploitation ..
More coherent inference to the procedure of introducing 0.5% solvent – toxic fracturing in the 10000-29000 tons / put pressure and get the assumption that the target is actually world-wide is tackling the problems of storage and neutralization of toxic waste and radioactive … There is a new theme. She appeared in the years 1960-1970. But the resolution has acquired a mafia-type groups in their style … Unfortunately helplessly witnessing the destruction of our habitat just morbid satisfaction of speculators desperate and dependent on the exchange rate fluctuating figures on Wall Street. WARNING to clarify any mystifications on shale gas: Trace toxic and radioactive waste loaded on ships contaier … is likely to become solvent for shale gas exploitation route !?! Surtout, ne jamais s’interroger sur “l’ébriété énergétique”… de nos modes de production et de consommation ! Notre “politique de l’offre d’énergie abondante et pas chère”; se traduit par de formidables gaspillages ! La transition énergétique, (objet d’un débat national en ce moment en France), c’est basculer de cette politique de l’offre vers une “politique de maîtrise de la demande d’une ressource rare”… Il ne s’agit pas de gérer (ou d’organiser) la pénurie, mais de réduire les… “gas-pillages” ! Hélas ! Pour cela, il faudrait “changer le logiciel d’exploitation”… de l’UE de Lisbonne ! Il faudrait pouvoir affirmer que le but de l’économie n’est pas la satisfaction des besoins des grands groupes industriels et financiers, (ni de la cupidité de leurs actionnaires… avec des conséquences inacceptables, comme au Bangladesh ces derniers jours), mais la satisfaction des besoins humains fondamentaux.